If you’re looking for an art and craft project, baby’s first toy or a cool outdoor gadget, Great Gizmos has it all and offer free shipping with any order over £10. In addition, there is even a 10% off voucher for first time users (valid until 31st January 2014) so you can save money this Christmas – just enter CPR10 at the checkout for extra savings! This site is packed full of ideas and really easy to navigate. Order now and you’ll be well in time for Christmas! Great Gizmos’ introduced the brand new site in early November The aim is to encompass what gift givers, parents or friends need whilst online shopping. The animated pages help you find that perfect gift by categorising products to make them easier to find as well as being able to search by price, gender or age so you can specifically find the right product for you. Alternatively, if you know what you are looking for then you can search via Brand, which will show everything available in that collection. Plus, each product includes a detailed description so even if you are browsing you can see exactly what is on offer. With www.greatgizmos.co.uk you’ll find a fantastic range of toys and gifts suitable for children of all ages from great brands such as 4M, NICI, PlanToys and Zoob. 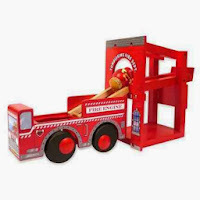 Whether it is activity kits, science projects, soft toys and accessories, eco-friendly wooden toys or construction sets you are looking for they provide a wealth of products so you can find that perfect gift every occasion.